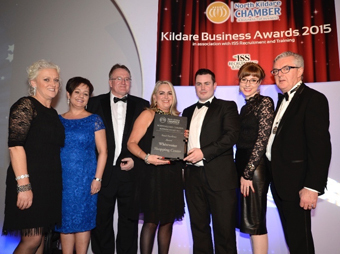 The Whitewater Shopping Centre won the Retail Excellence Award at the North Kildare Chamber Business Awards 2015 which took place at the K-Club on November 27th. Earlier in the year Ingrid won ‘All Ireland Manager of The Year’ at the 2015 Spectre Awards. Under her management, the centre has grown since opening in 2006, with over 70 stores and nearly 1,000 staff.